In what environmentalists are calling "a once-in-a-generation opportunity to speak with one voice on behalf of free-flowing rivers and abundant salmon," the U.S. government opened public comment Sept. 30 on how, or even if, the region should continue the operation of hydroelectric dams on the Snake and Columbia Rivers. Earlier this summer, Boise Weekly chronicled the long and often contentious debate over the Northwest's network of hydropower. 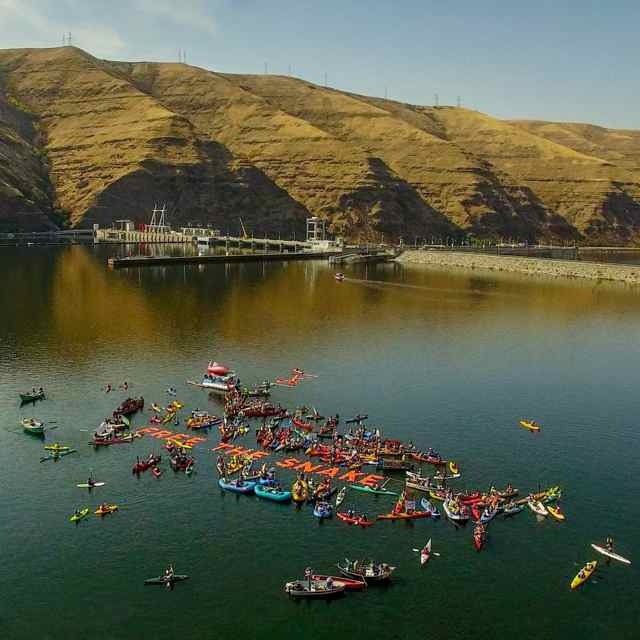 "Living without those dams in order to save the salmon is not an insurmountable problem. We can do this," said Todd True, managing attorney of Earthjustice's Northwest regional office. "We still have time to find alternative solutions. One study says if hydro would go away, customer bills would actually go down. Another study says that customer bills might go up, but less than $1 a month." The federal government now has little choice but to look at a wide range of alternatives to the Snake and Columbia river dams, including possible dam removal: This past May, U.S. District Court Court Judge Michael Simon tossed the government's desire to keep the dams operational while trying to find other ways of protecting threatened and endangered salmon and steelhead. "For more than 20 years, the federal agencies have ignored the admonishments and continued to focus essentially on the same approach," wrote Simon. "These efforts have already cost billions of dollars, yet they are failing. Many populations of the listed species continue to be in a perilous state." As part of the new public comment period, federal agencies are scheduled to hold as many as 15 public meetings around the region, including four in Idaho: Wednesday, Oct. 26, in Priest River; Thursday, Oct. 27, in Bonners Ferry; Wednesday, Nov. 16, in Lewiston; and Wednesday, Nov. 29, in Boise. "We're less than thrilled that the agencies in charge of this process have scheduled it on top of a presidential election cycle and the holiday season, but we're confident Idahoans will be heard loud and clear in the weeks and months ahead," said Tom Stuart, Idaho Rivers United board member. "Five more years of salmon slaughter because of unnecessary dams is unconscionable. We need to free the Snake now."